GSC (Golden Screen Cinemas) will be bringing in some blockbusters like Now You See Me, Red 2 and Mortal Instruments: City of Bones, and “alternative contents” like Andrea Bocelli: Love in Portofino to satisfy the likes of me. Upcoming film titles weren’t all that were announced that night. GSC also introduced a few new convenient online services that moviegoers will definitely be pleased with. The e-Voucher facility have been introduced recently to cater for loyalty programmes and promotions where they can be redeemed on the current e-Payment of the GSC website. Hooray, that means no more queuing up or accepting poor seats just to not waste GSC movie vouchers! Also, the revamped website now features a more convenient ticketing and showtimes browsing. No need for the trouble of clicking back and forth anymore. Many have complained that even after skipping the queue by purchasing tickets online, they’d still have to queue up to buy food and drinks. GSC has taken that into account and came up with e-Concession, which will allow patrons to purchase popcorns and drinks sets via e-Payment. They added that the common pop-up problem that new users face in e-Payment will be solved in the future as well. No news, however, on the mobile app for Blackberry users. Sad case for me but I doubt I’ll stick with Blackberry anyway. GSC are also expanding with new cinemas, one to be opened in every quarter this year. We already saw one opened at Bintang Megamall Miri last month. Soon to follow in respective quarters are CityOne Megamall Kuching, Palm Mall Seremban and Nu Sentral KL. IOI Putrajaya and Aman Central Alor Setar, too, have been confirmed for 2014. However, it was not mention if any of these cinemas would offer IMAX experience. Moviegoers may question about this. 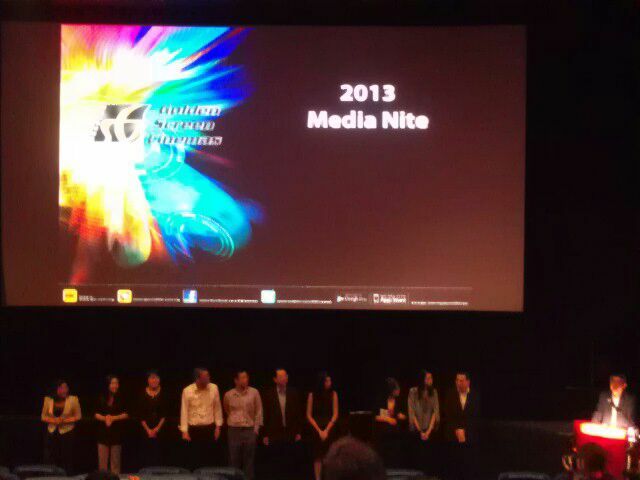 All these exciting plans for the year were announced on Friday (15 March) during the annual GSC Media Nite held at GSC Signatures (The Gardens Mid Valley KL) with over 100 guests from the media and business partners present. The event was hosted by only their very own managers, who were all highly enthusiastic and driven. If they wanted to give an impression that GSC’s a fun and dominant organisation, well, they did it. Good news indeed! But GSC or TGV better? Like the convenience of being able to purchase our drinks / food with our tickets. Brilliant! Though I think I am hoping that they will maintain their cinemas better. Absolutely detest the dirty 3D glasses, squeaky sits and less than OK (faulty) sound systems. Agree, maintaining cinema should be put in priority. So many rubbish under the seats. @foongpc That is something that is hard to say. Which ever cinema's newer, it's usually better. Service wise, they are both more or less at par. TGV's IMAX is way more awesome though. @missyblurkit Totally agree with you on that but that really depends on which cinema. TGV's old cinemas are the same. But when I go for 3D screenings, I'd go for IMAX (otherwise really pointless) and those glasses are definitely unlike the common ones. @Michael Under the seats?! I don't do spot checks so unless they smell, I wouldn't notice haha. GSC used to be the better one. TGV caught up with their IMAX? Wonder what will GSC think of next!